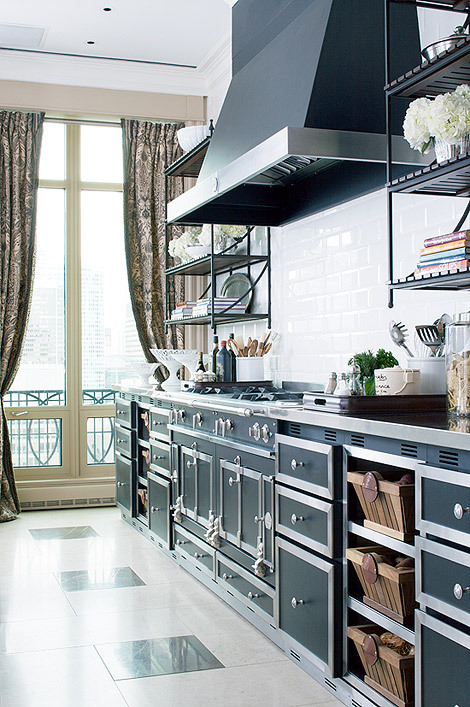 Mix and Chic: Gorgeous kitchen inspirations! Which is your favorite kitchen? Any particular feature that catches your eye? The 4th one down for me - such great contrast between the dark grey & stainless steel. And love the little basket tray things too. 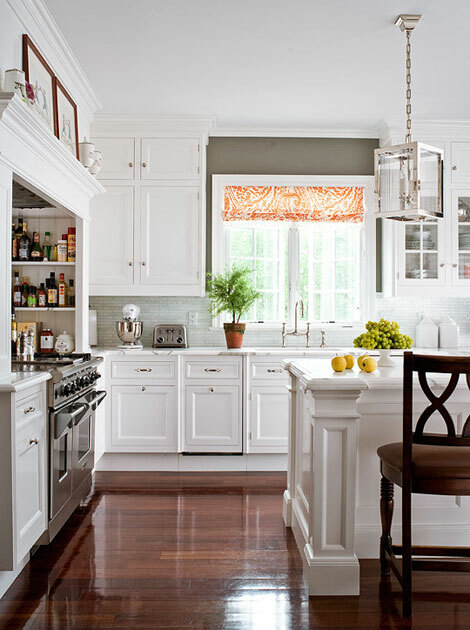 All gorgeous images I definetly think the kitchen is the hub of the home! I would definetly want one like the ones in your pictures! really glad with this post dear ! just saved the secons and 4th pic to put in my organizer . 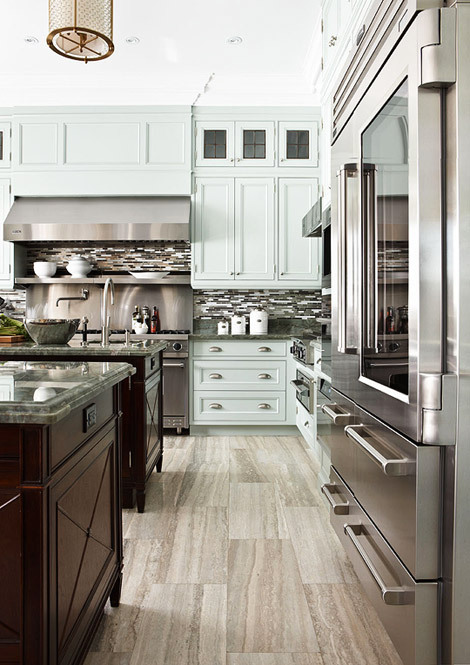 The second one is my dream kitchen ! 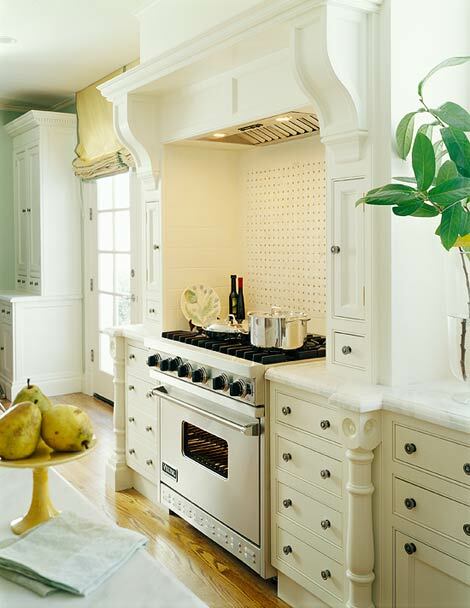 My favuorite one is last one, I wish my kitchen is like that! I Love no.1: the white & metallic combo is so chic and beautiful! Liking that trio of gold pendants, Jessie! AMAZING kitchens! Love them all Jessie but the black more contemporary one, and the minty green one are my favourites. Both are classic but still very original. All beautiful piccs..I am always drawn to the ones with even a hint of color or pattern mix.. and I absolutely love the round table space..instantly warms up a room. These are all great. But, the color of the walls with the finish of the lamps in the first pic, perfection. Love those hanging lights in the first one. Kitchens are my favorite room! 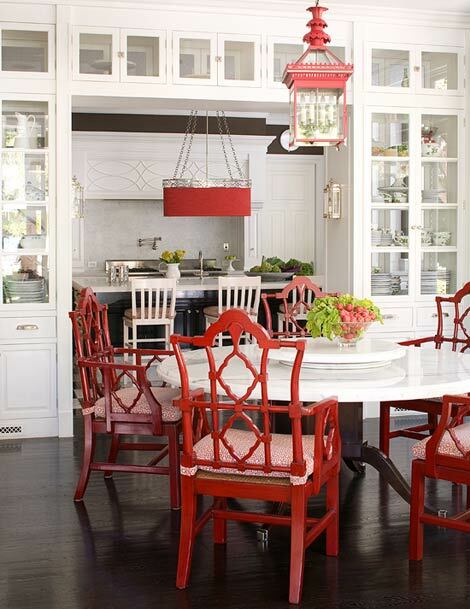 I never tire of looking at gorgeous kitchens...I surprised myself by being drawn to the kitchen with the pops of red! 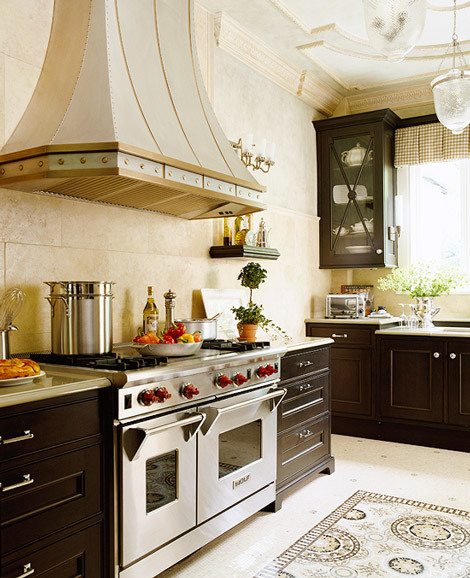 The black with the stainless mouldings, is just perfection. It is more traditional than I would envision for myself, but I could so happily settle into it. Gorgeous as always Jessie! I love the second and the last kitchen. Really obsess with white lately. I could stare at these gorge pictures for the majority of my day and still not be done. 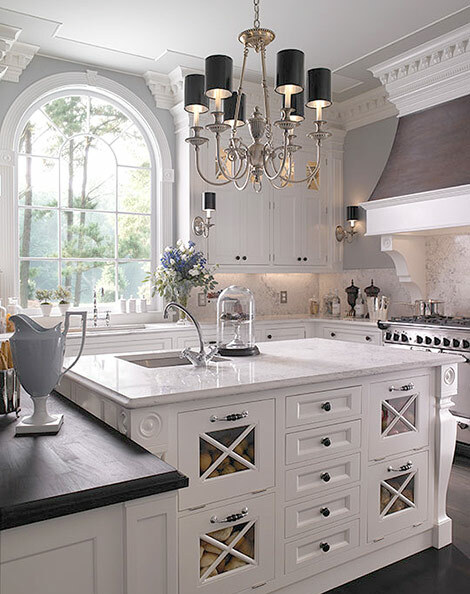 LOVE the kitchens! 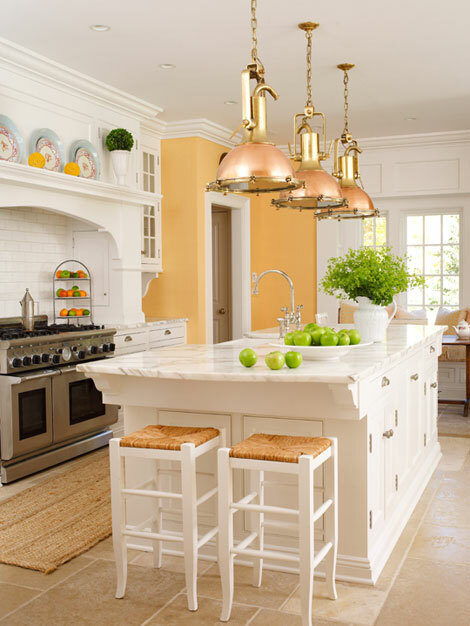 The copper fixtures in the first kitchen are just so breathtakingly beautiful. I love them against the white cabinets. Wow! Loving the x-doors in that second photo. I bet all of my food would taste instantly more delicious if cooked in any one of those kitchens. It's actually impossible to chose a favourite. They are all stunning! The red is beautiful, I love a white kitchen it's TIMELESS. great post!